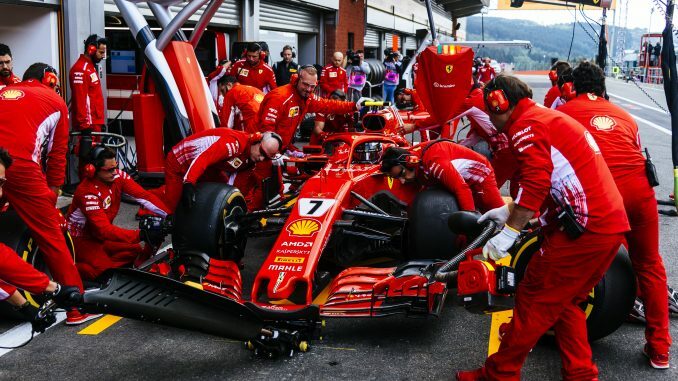 Kimi Raikkonen set the fastest lap of the day in practice for this weekend’s Belgian Grand Prix at Spa-Francorchamps. The Finn topped the timesheets with a lap of 1:43.355 in FP2 after teammate Sebastian Vettel set the pace in the morning. 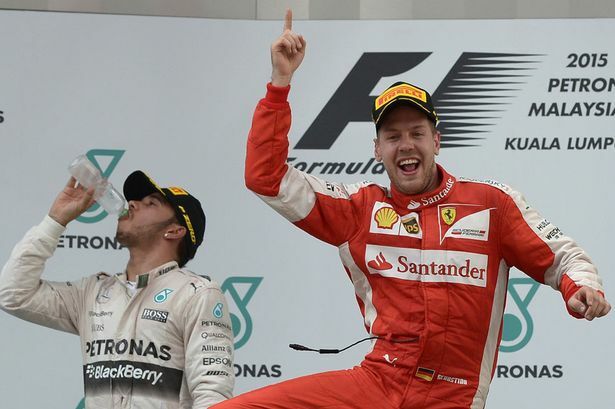 Vettel couldn’t match Raikkonen’s efforts in the later session though, ending the afternoon in fifth. Both Mercedes cars and Max Verstappen separated Vettel from his teammate in FP2. Hamilton was second fastest at the end of practice just ahead of Valtteri Bottas, but the Finn will be more concerned with race pace than one-lap speed as he’s taking a grid penalty that will force him to start at the back of the grid. Verstappen was also fast in the morning, ending the earlier practice just 0.15s behind Vettel in second. 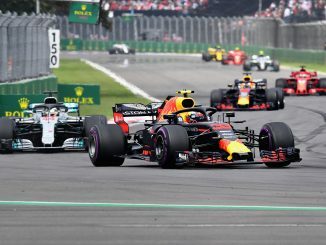 His Red Bull teammate Daniel Ricciardo had a difficult morning after a power unit problem kept him in the garage until almost the end of the 90-minute session, but he still managed to end both periods in sixth. Despite their dramas off the track heading into this race, Force India lead the charge to be best of the rest this weekend, as Esteban Ocon was seventh in FP1 before Sergio Perez proved to be the quickest driver from outside the top three teams after the break, having also been in the top 10 in the morning. Carlos Sainz also showed strong pace with Renault, improving from 10th in the morning to eighth in the later practice. Nico Hulkenberg was just outside the top 10 in FP2, but like Bottas he faces a hefty grid penalty for changing engine elements which will push him towards the back of the grid. Sauber will be happy with their performance in the second session, with both cars finishing ahead of Hulkenberg in P9 and P10 respectively. Marcus Ericsson was marginally quicker than his rookie teammate, but Charles Leclerc spent half the session working with the medium tyre, which is the hardest compound being used this weekend. It was a day to forget for Stoffel Vandoorne at his home Grand Prix as he finished both practice at the bottom of the standings. The Belgian spent most of FP1 stuck in the garage after suffering a brake problem. He still couldn’t find pace in the afternoon though, finishing behind both Williams cars and 0.4s slower than Fernando Alonso. Alonso only had one session in the car today as reserve driver Lando Norris took charge of the Spaniard’s car in FP1. 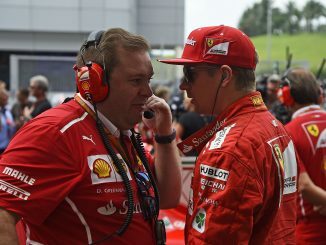 The F2 championship contender ended the morning 18th, just over three seconds off the time of Vettel and less than 0.4s slower than Kevin Magnussen for Haas. Haas appear to be struggling for pace so far this weekend. Magnussen was near the bottom of the standings in FP1 before improving to 14th after lunch, while Romain Grosjean was 12th in both outings. Pierre Gasly, fresh from being confirmed at Red Bull in 2019, looked strong at the start of the day for Toro Rosso, finishing just outside the top 10. However, he slipped back in FP2 to end the second session 15th, just two spots ahead of teammate Brendon Hartley. Williams will have ground to make up tomorrow after Lance Stroll and Sergey Sirotkin ended FP2 18th and 19th respectively. Stroll had a stronger morning to end the session 16th, but on the longer runs in the afternoon the Canadian slipped backwards.